The Colorful booth on Computex looks busy. 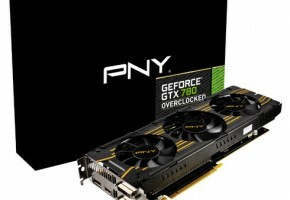 That’s because they have a lot of new cards, and these ain’t cards for casual gamers. 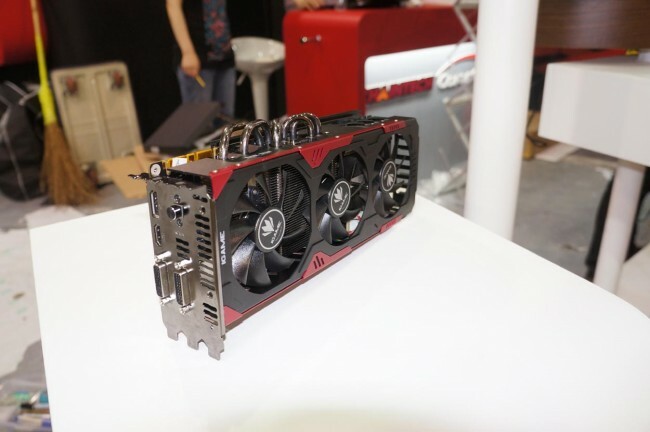 Let’s start with a badass looking iGame 780 KUDAN. 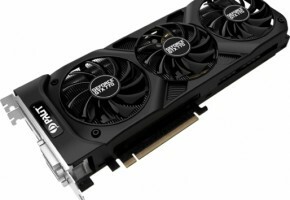 Well, first time I saw the picture I thought it was a mistake, since it looks like a HD 7990. 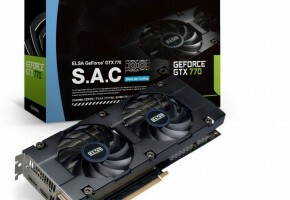 However, it’s indeed the GTX 780, the cooler is just very similar. Of course we don’t have any solid of information at this point, but we can guess some stuff from the pictures. 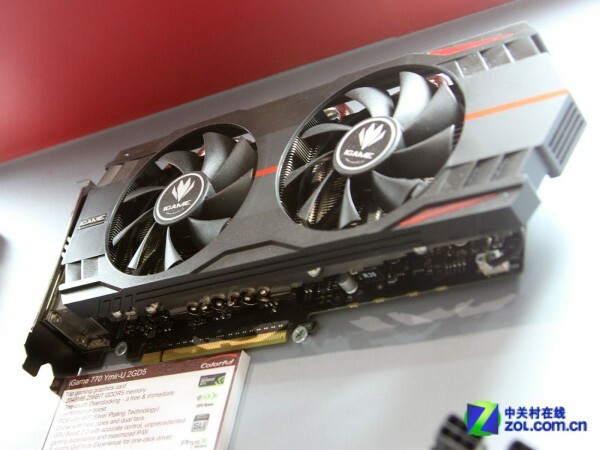 First up, we notice a triple-slot design, which is not exactly what SLI lovers would expect, but the cards is still featuring two SLI fingers. 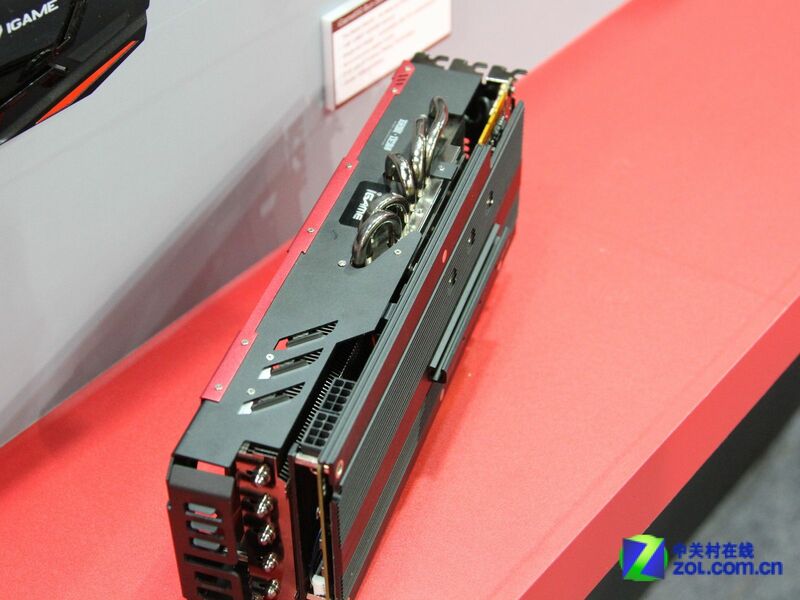 On the bracket we don’t only have a DisplayPort, HDMI and two DVIs, but also a BIOS switch for even more powerful gaming. 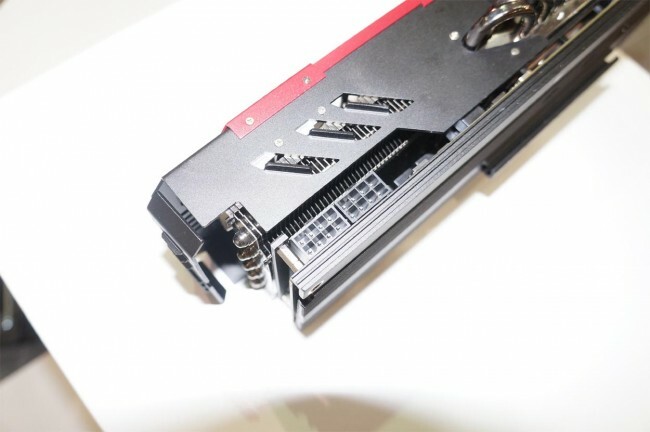 There’s a huge heat sink over the GPU with five aluminum heat pipes. 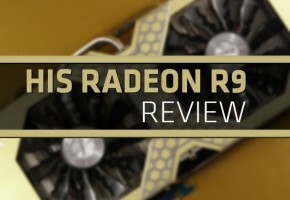 Card requires two 8-pin power connectors, which surely proves a great overclocking potential. 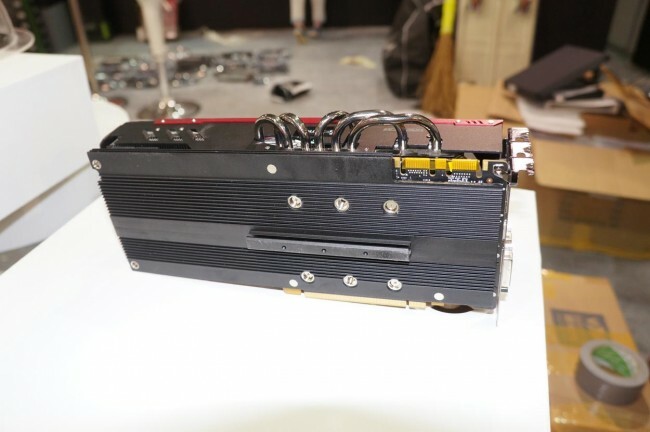 Of course Colorful did not forget about the backplate, and by backplate I mean this huge metal plate on the back covering additional components added by the manufacturer. 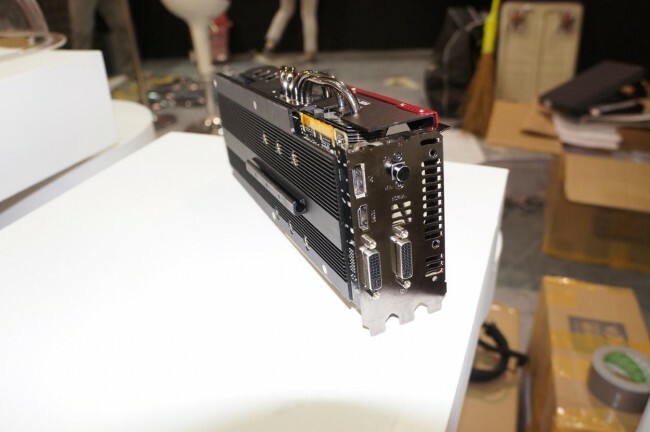 If you remember the rumors about the TITAN Ultra, then I can finally say that they were true. 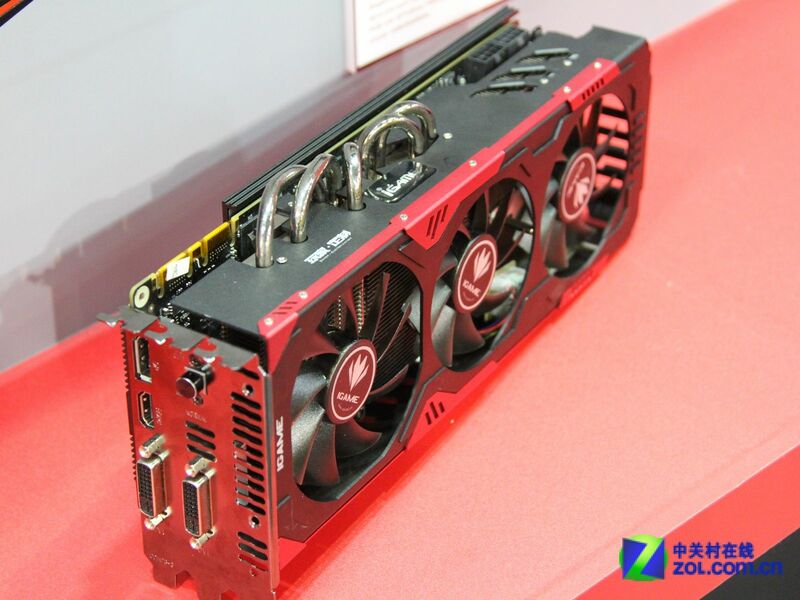 Only it’s not a model from NVIDIA itself, but from Colorful. 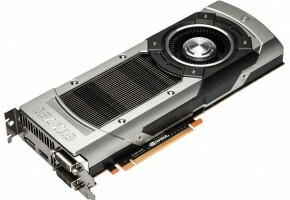 The iGame GTX TITAN Ultra is nothing less than a TITAN with a waterblock. 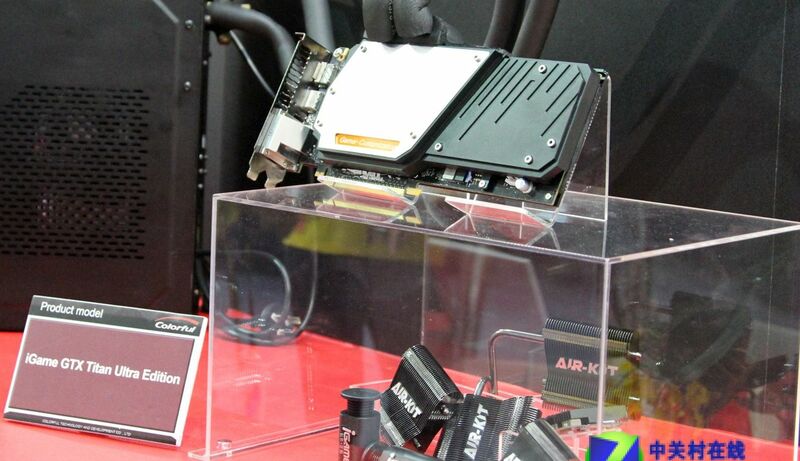 Card was presented right next to iGame Air Kit, but I doubt it was made for the TITAN Ultra. Unfortunately, the PCB is not modified, so technically this is just a reference card with a new waterblock. 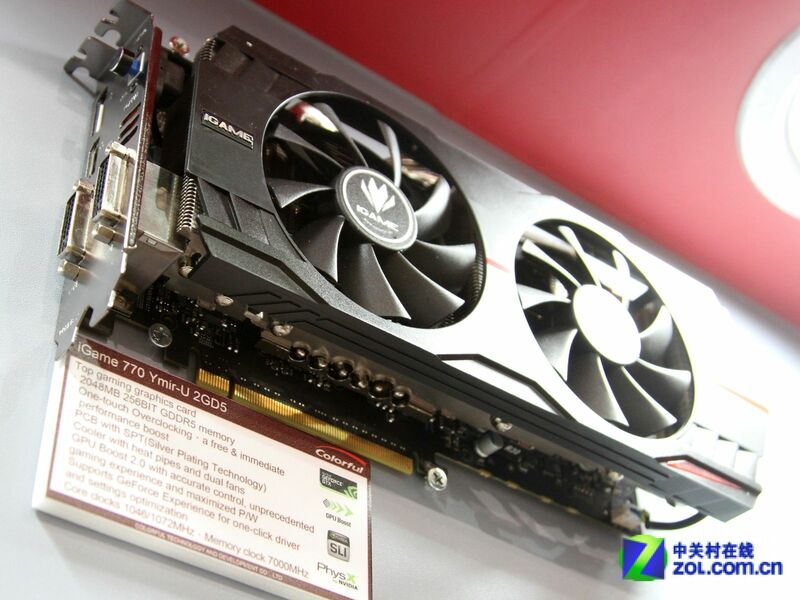 The guys from ZOL also found iGame GTX 770 hanging on the wall. Card is labeled as iGame GTX 770 Ymir-U 2GD5. The new 770 model from Colorful is factory-overclocked to 1046/1072 MHz, while the memory was not touched, even in terms of the size. 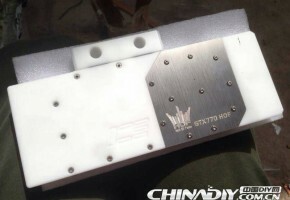 The PCB is custom and it was made with Silver Plating Technology. 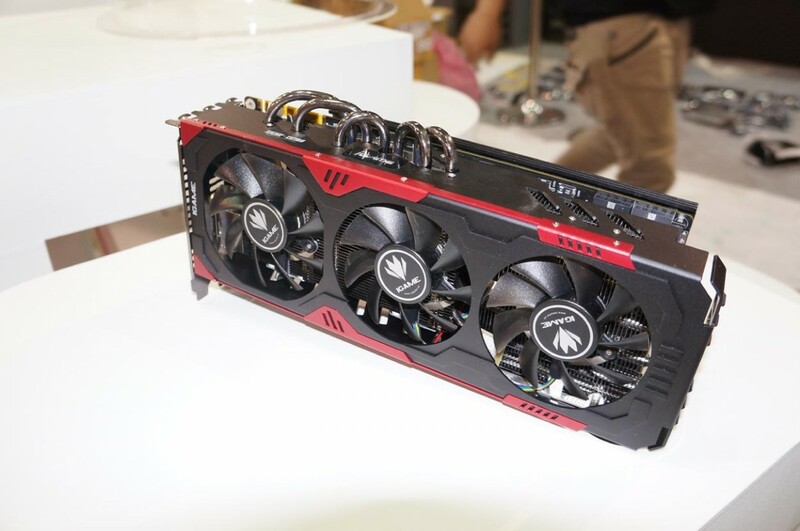 Just like all other iGame cards, also this one has OC button on the bracket.